Police in Berlin have launched a series of crackdowns on the notorious ‘Riga 94’ left-wing extremists who have been responsible for attacks on police and multiple riots this year. The free reign of left-wing extremism in Berlin may be coming to an end as police have conducted large-scale raids against leftist agitators across the German capital this week. In the early hours of Wednesday morning 139 police and prosecution officials raided 13 residences and businesses in Berlin, along with one in Leipzig, with connections to the radical left scene, reports Die Welt. 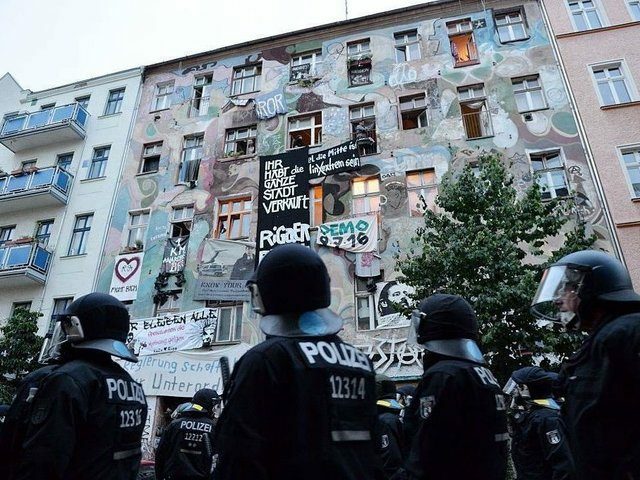 In the Berlin districts of Neukölln, Friedrichshain, Kreuzberg, Tempelhof, Wedding, and Gesundbrunnen police raided several properties including a self-sustained leftist housing project. According to police, the purpose of the raid was to gather evidence on the left-wing extremists and their activities. One of the main catalysts for the raids was the Riga 94 riots which occurred in Berlin earlier this year. The riots commenced after police attempted to vacate a number of left wingers who had been living in the Riga Street 94 building illegally for years. The owner of the building wanted to turn the squatter housing into an asylum home for migrants. During the riots cars were set on fire and buildings were attacked, causing tens of thousands of euros’ worth of property damage. There were also attacks on police. Authorities say the evidence collected in the raids will help them identify who took part in the vandalism and attacks which they hope will lead to successful prosecutions. Police were joined by the Berlin domestic intelligence service and a new group formed in June called “LinX” whose speciality is tackling far-left extremism. “LinX” is a play on the German word for left – or “Links” – which the anarchist groups often refer to themselves as. Berlin prosecutors have claimed at least 14 leftists took part in the riots and destruction saying that they traveled around the area on their bicycles lighting fires and causing mayhem. They also say that the leftists claimed responsibility, likely on one of their many internet sites, after the riots took place. 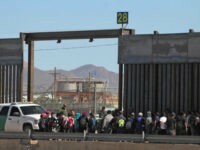 Worryingly, the authorities also said that there appeared to be evidence the actions of the leftists had been pre-planned, tightly coordinated, and controlled. Left wing extremist violence is on the rise in Germany as attacks on police and right-wing politicians continues to escalate. Leftists have targeted members of the anti-mass migration Alternative for Germany (AfD) party multiple times, sometimes physically assaulting members, publishing their addresses online, and encouraging harassment, or even firebombing the leader of the party, Frauke Petry’s car.